I'll be adding cruise control to my '91 soon. Simple procedure - install the stalk in the steering column and install the actuator in the engine bay. I do have two questions, though. 1. 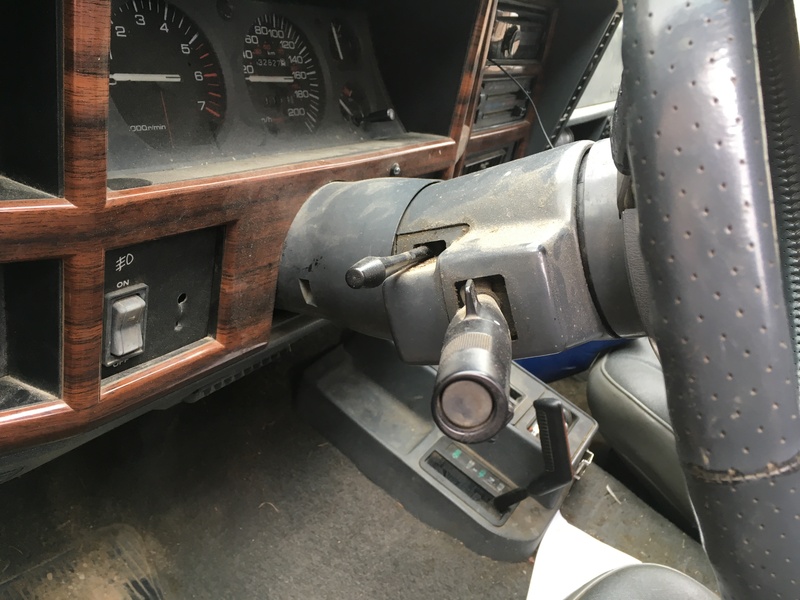 What style of turn signal stalk did the MJs with factory cruise come with? I see two that look like they would fit. One is "fat" and kind of ugly, and one is skinnier like the regular stalks. I don't think it matters, but I'm just curious. That cable doesn't look right to me at all. It's missing the part that clips to the throttle mechanism and looks way too short to reach. 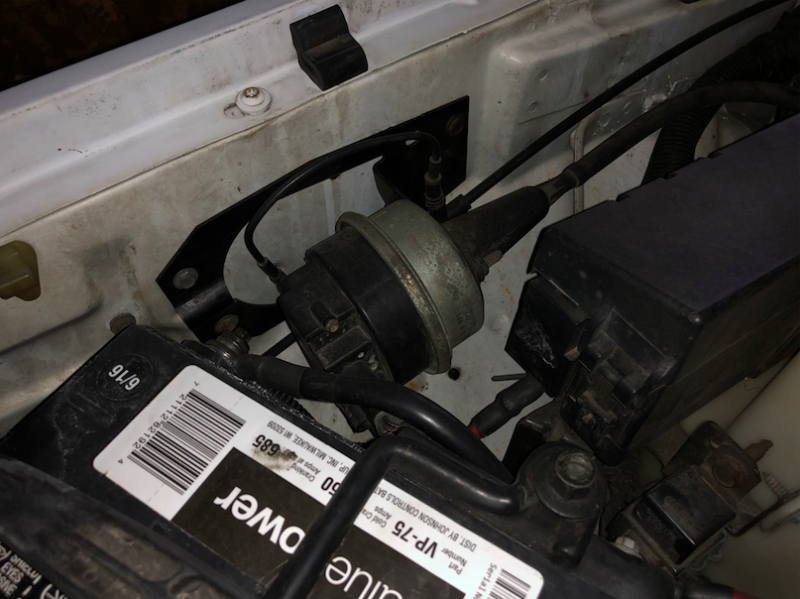 Is there two parts to the cable that runs to the throttle body, or is it just the wrong cable? 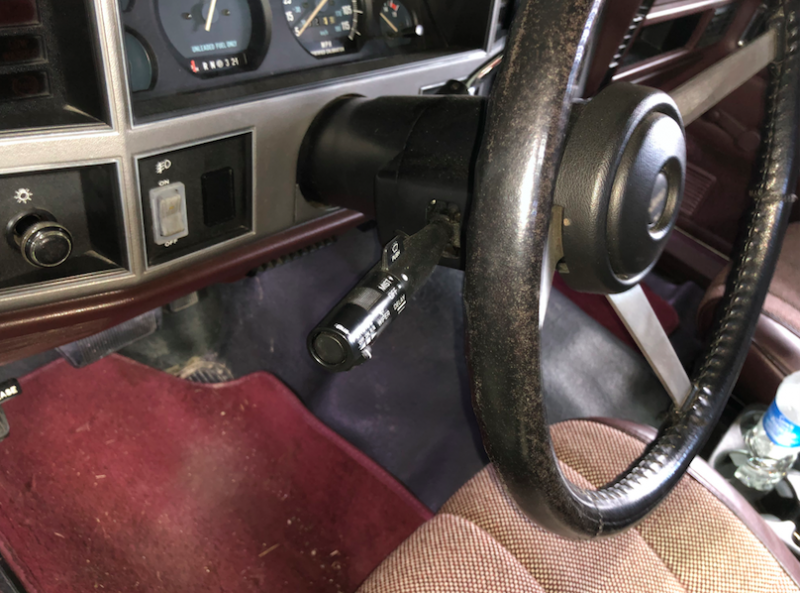 If someone with factory cruise control (especially if you have a '91 or '92) could post pics of their cruise control cable from the actuator to the throttle body, that would be great. The "skinny" stalk is the correct one. Hmmm ... looks like a hybrid between the "skinny" and "fat" ones above. That stalk part number doesn't look familiar. The Mopar CC kit instructions call out 56004595 for the stalk which can be found on ebay for $15. I wasn't interested in paying $100 for an on/off switch. Here's the thing about the stalks -- it seems like they only made stalks with markings for CC+Delay wipers and No CC+No delay wipers. Couldn't find one with the right markings for CC+No delay wipers. 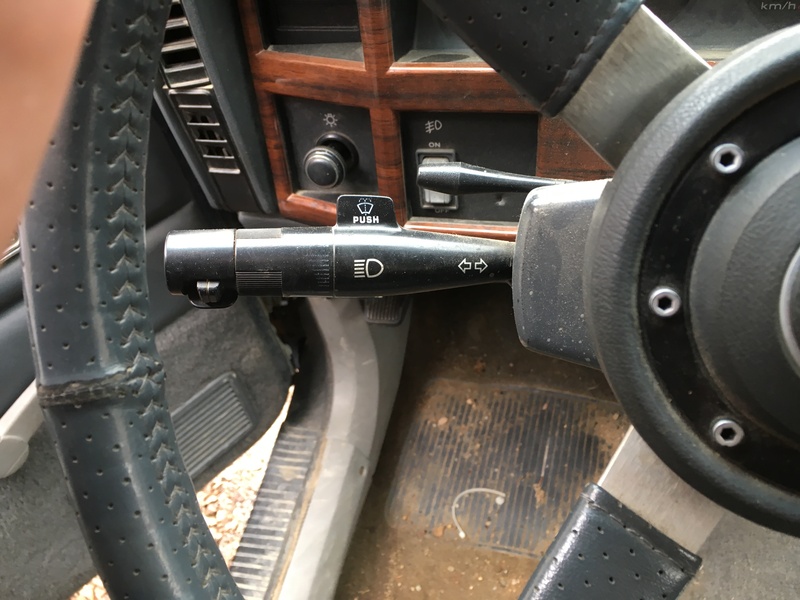 So if you install a CC stalk without delay wipers, it will still work, but the wiper markings won't be useful. And no that's not the right cable. 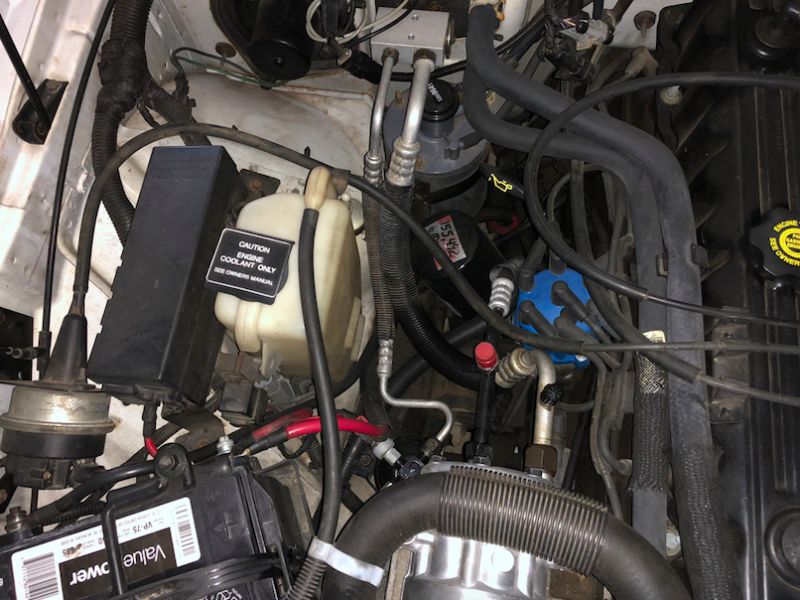 I suggest hitting the junkyard to find the right cable because you'll also get the loop bracket that secures the cable to the coolant reservoir. The part numbers for the stalks are GM part numbers, and I just posted them because I had them bookmarked already. It appears that Jeeps with cruise had the "fat" stalk all of the time with a few different part numbers. Your part number matches my '91 parts manual. I'd really like to get an OEM part if I can help it though. I have intermittent wipers, so no worry there. The "skinny" one on Amazon looks like it was used in cars, not trucks. I suspect that it would work just fine in a Jeep column but I'm not going to throw almost a hundred bucks at that assumption. I might grab one from the yard and see if it works in my truck just for gits and shiggles. I like the way it looks better, that's the only reason I even brought it up. Looks like the only correct part on that eBay listing I posted is the actuator itself. 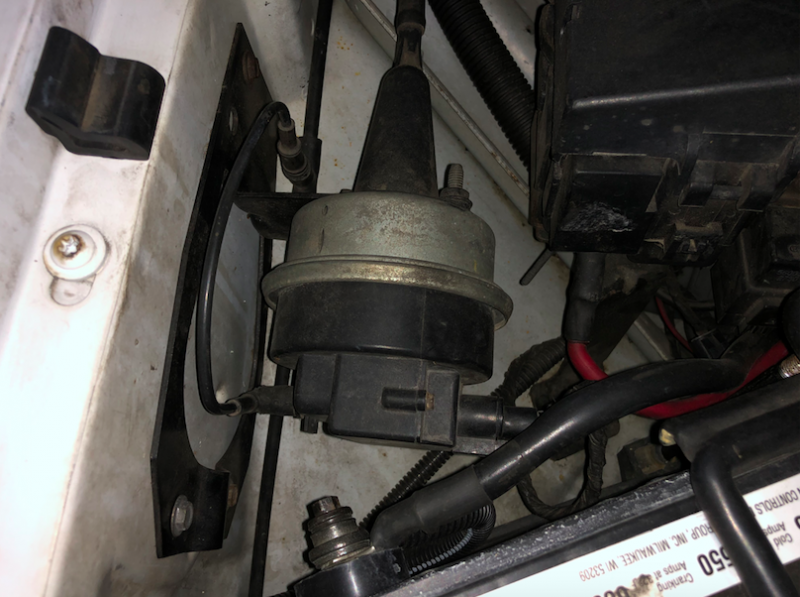 I was able to find a picture of an original XJ actuator and the bracket looks completely different. Guess I'm going to have to piece this together after all. 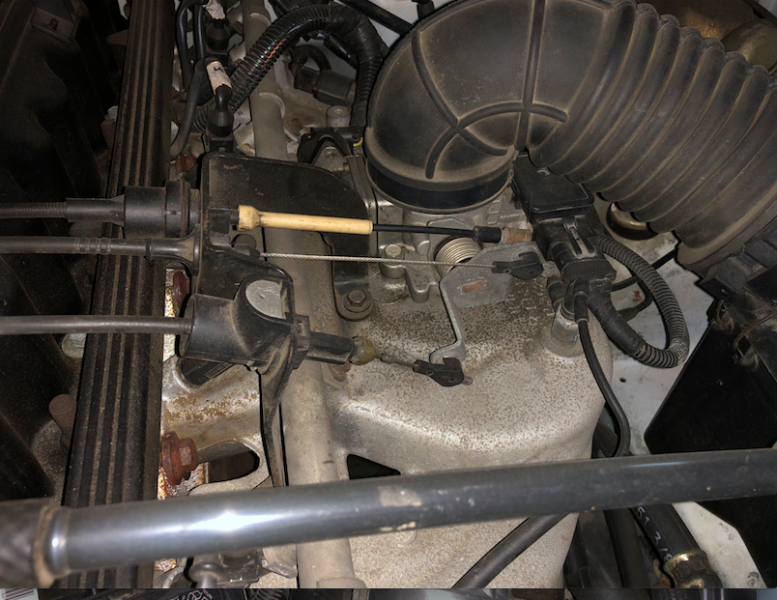 Good to know that there's a bracket at the coolant reservoir. Damn, I was hoping to get everything I needed in one or two transactions. Thanks guys. I added cruise to my 91 after I got it. 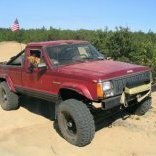 I used a actuator from a junkyard 91 XJ, and bought the stalk off ebay. Cheapest one I could find. It was like $13 shipped. It has delay wiper markings, but my non-tilt column does not have delay wipers. It still works. I plan to add delay wipers eventually, I have the box, switch (for non-tilt), and a complete tilt column with delay wipers. I've got more pics, but the site is telling me I can't upload them. our site? as in CC?